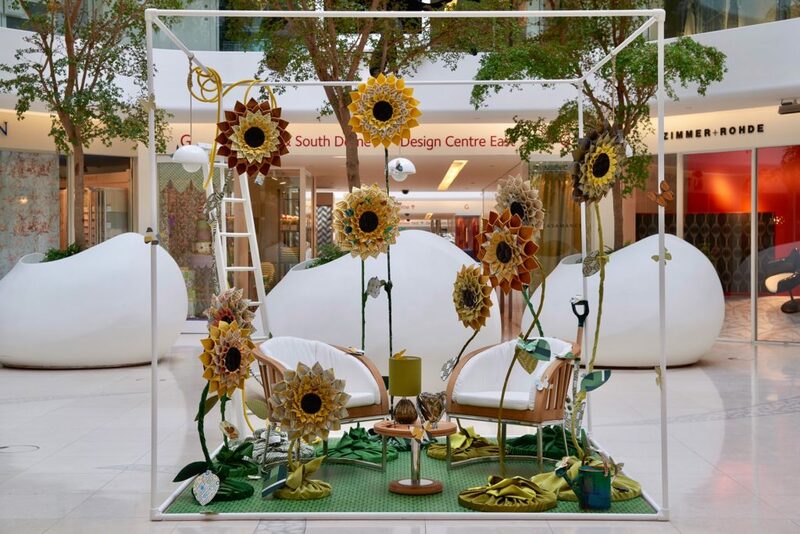 In Full Bloom 2017 at Design Centre, Chelsea Harbour, in partnership with Chelsea Fringe, was a festival celebrating flowers, plants and gardens across the capital and beyond. With the summer season come flowers to inspire. 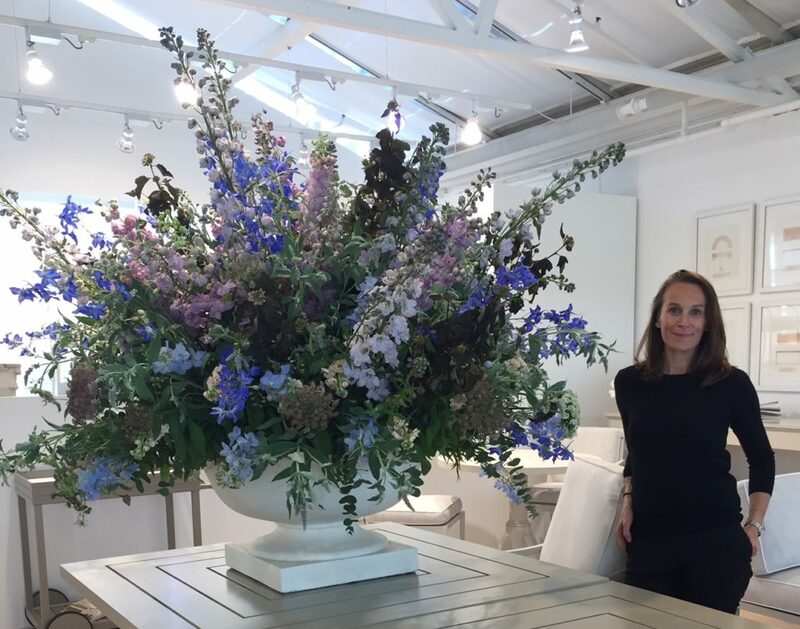 At a sell-out event Philippa Craddock revealed why she is one of the country’s most sought after florists. Known for her natural, abundant style, she designs and creates installations for weddings, parties, product launches and photo shoots for an international clientele including Christian Dior, Alexander McQueen, Hermès, Victoria & Albert Museum, Tiffany & Coand Lancôme, to name but a few. In front of a rapt audience of interior enthusiasts and flower lovers, she created a stunning centrepiece of swooning detail using delphiniums, stocks, eucalyptus and flowering mint in shades of blue, dusty pink and aubergine. 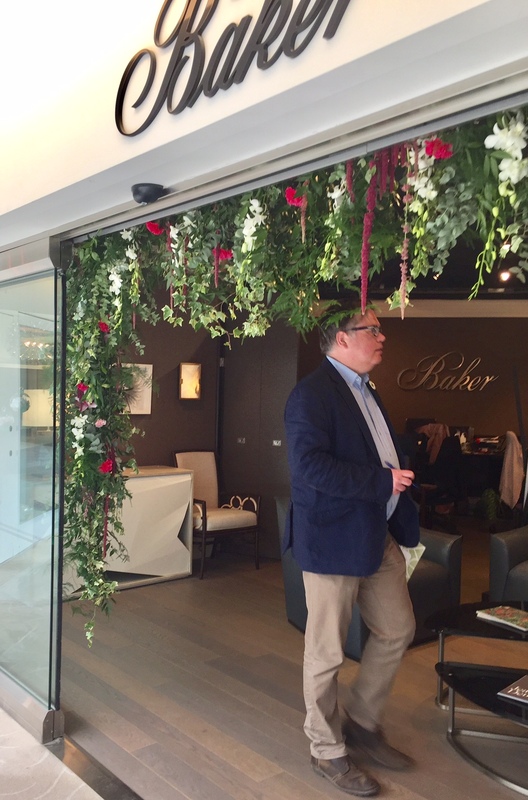 McKinnon and Harris, known for its handcrafted, high performance garden furniture, provided the perfect venue for the demonstration. 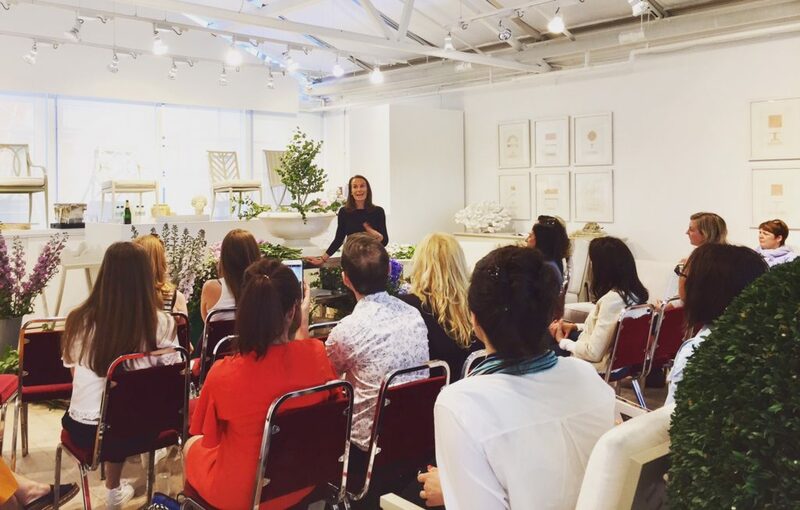 Designs inspired by flora and fauna is a key theme for spring/summer and a special In Bloom Discovery Tour at 12pm on 30 May brought the abundance in the showrooms to both interior enthusiasts and a green-fingered audience.